In the year 2017, it is extremely likely that the average iPhone or iPad owner will have some sort of social media presence. Practically everyone has an account with Facebook and Twitter, so they will certainly get used, but there are other well-known social apps out there to use, along with some obscurer ones. If you manage a group or page on Facebook for a hobby or business, consider getting the Facebook Pages Manager app, which can be used to directly administer the profile directly. As well as separating the page from the personal profile, the app also offers insights into the page's performance, access to the inbox and notifications, and allows for posts to be written and scheduled for later publication. 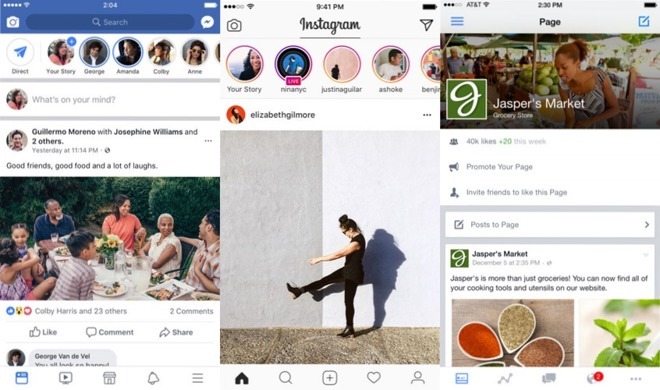 Facebook users will also be familiar with Instagram, the filter-based imaging tool that is its own social network, but can also share images to the Facebook feed directly. Sure, you can upload photographs and videos taken by the camera app built into iOS, but the app offers more creative options than filters, such as looping "boomerang" clips, stop motion clips, and various other graphical special effects. Those new to the iOS ecosystem should also pay attention to Apple's own communications tools included as part of iOS. FaceTime is able to make and receive audio and video calls with other FaceTime users, while Messages can be used to send iMessages and text messages to contacts. Keen photographers should first check out Photos, Apple's own tool for collecting together photographs, as well as performing edits and adjustments to stored images, and it can be used in tandem with the macOS version of the same app. There is also Apple's own camera app for taking photographs from the built-in cameras, with newer iPhones including the Portrait mode and optional lighting effects. Pixelmator is a fantastic image-editing app capable of pretty much anything you would want to do to a photograph, ranging from creating complex multi-layered compositions to basic edits of a shot. It is also extremely good value compared to its main rival Photoshop, priced at just $4.99. For those who acquired an iPad Pro and an Apple Pencil, consider picking up the free Paper by FiftyThree. This sketching app offers a clean interface and all the essential tools you need to draw freehand on the iPad Pro, making it ideal for artists and cartoonists. A more advanced tool, Procreate is an Apple Design Award winning sketching app that gives a high level of control and countless different options for getting the idea onto digital paper. Offering 136 different brushes with 35 customizable settings for each brush, this is a powerful app that is great value at $9.99. Want to make your own music? Take advantage of Garageband, Apple's music creation tool that's included free in iOS. With Garageband, you can build a multi-track song made from multiple recordings, with virtual instruments and drummers available to fill in the gaps around your voice and instrumental recordings. 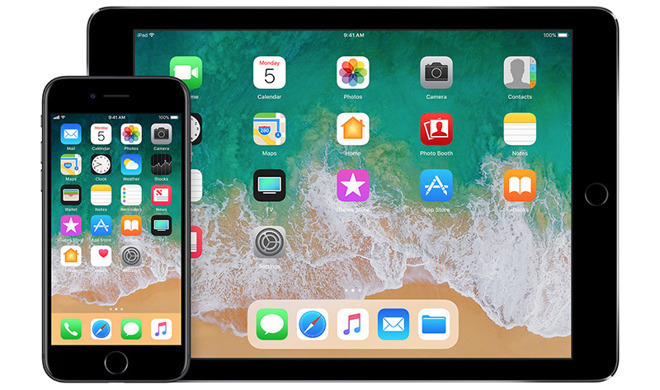 If you need to get work done on an iPhone or iPad, Apple has solved the problem for you, by including a number of productivity tools as part of iOS. The Pages word processor, spreadsheet tool Numbers, and presentation creator Keynote offer all the key functionality you would expect from an Office-style suite, but at no additional cost. Those who are used to working in the Microsoft Office suite of tools will also be able to use their portable equivalents, as Microsoft has released iOS versions of Word, Excel, PowerPoint, Outlook, OneNote, and many other apps. 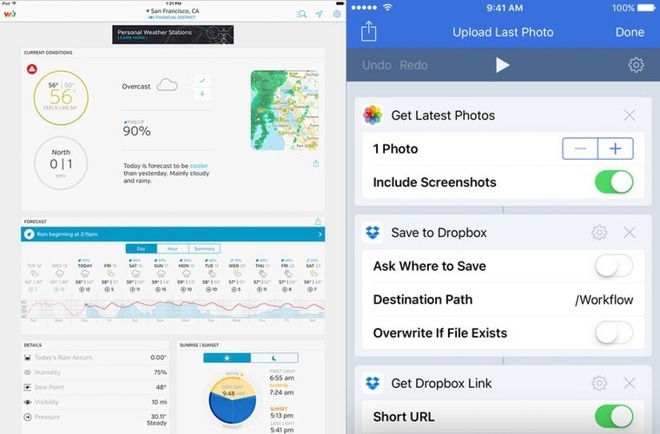 While you do really need an Office 365 subscription to use these apps to their fullest, it is also possible to download the apps for free if you only need to view the documents without editing. Obsessive about organization and Apple's Reminders app isn't enough? OmniFocus is a supercharged To Do manager that can help schedule your day and break down a long list into smaller, manageable chunks. OmniFocus costs $39.99 for the standard version, $59.99 for Pro. 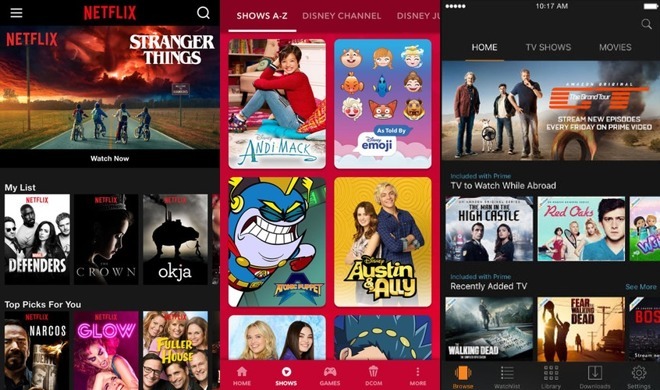 The wealth of video streaming apps on the market makes it a no-brainer to load an iPhone or iPad up with television-based apps. This will vary from country to country, but most TV channels and networks offer some sort of streaming app that provides access to broadcast content, though in some cases this will require authentication to confirm there is an active pay TV subscription in place, such as through Apple's Single Sign On service. Cutting the cord like a streaming media rebel? There are quite a few Internet TV services with fairly reasonable subscriptions that can be used to replicate the Pay TV service but without the lengthy contract period. For the US, these services include Sling TV, DirecTV Now, PlayStation Vue, Hulu, and YouTube TV, with similar offerings in other markets. Don't forget that there are other video streaming services out there that offer content separate to the usual TV broadcasts, such as the dominant Netflix and Amazon Prime Video. If you want something more specific, there are many niche streaming services to scratch your particular itch, like Crunchyroll for anime and Japanese TV shows, and DisneyNow for content linked to the Walt Disney Company. Music lovers will probably want to sign up to a music streaming service, so why not have a look at Apple Music, accessible from the included Music app. Alternatives to Apple Music include main competitor Spotify, Google Play Music All Access, and Amazon Music if you also happen to be an Amazon Prime subscriber. Sure, you could ask Siri for the weather forecast, but if you want more detail, check out Weather Underground. This app uses a network of over 250,000 weather stations to provide local forecasts, current conditions, radar views, and other important data for the world outside, complete with customizable alerts to warn of major weather events heading your way. Automate your life with Workflow, which can automatically perform specific tasks on your behalf via a single click, such as a home screen icon that shows you where the nearest coffee shop is, or to create PDFs from web pages in Safari. An alternative to this is IFTTT, which connects to over 500 apps and is capable of triggering smart home functions on multiple platforms. Lastly, keep up on the latest developments in the Apple ecosystem with the AppleInsider app. Receive alerts for major breaking stories, watch videos from the AI YouTube channel, and listen to the latest podcast all within the app.